A few showers this morning with overcast skies during the afternoon hours. High near 75F. Winds SE at 10 to 20 mph. Chance of rain 30%..
Makers of the Brunson Theater documentary and the Baytown-Goose Creek CISD advertising campaign say both projects are ready for the sequel. A trailer was shown to Baytown council this week for the Brunson documentary, showing the theater’s new sign at night along with an array of local dignitaries, including Councilman Chris Presley and Lee College Regent Gina Guillory, sharing their memories of the historic theater. Rick King, a filmmaker and Robert E. Lee High School graduate, introduced the trailer. In November, the city authorized $68,850 to director Kenneth Benitez’s film production company to create a documentary film highlighting the Brunson Theater. It will include photos, films and interviews of Baytonians talking about their memories of the theater’s heyday. King pointed out how Benitez was able to recreate the exact Brunson marquee using visual effects as well as its neon colors. “Also, the way the glass was curved was just the tip of the iceberg,” King said. Presley said he feels the team will do a good job with the documentary. “They bring a lot of passion to it,” he said. No date was announced for the release of the Brunson documentary. King and Benitez are also working on the second phase of the “Here, We Grow Giants” campaign. The City of Baytown and Goose Creek CISD collaborated to make this campaign, which highlights the achievements of the district as well as the people who attended its schools. 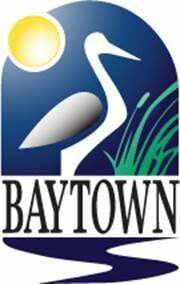 Mark Miller, City of Baytown spokesman, said the campaign promotes the offering and capabilities of the district, with a focus on career readiness, college readiness, awards and accolades of the district, and community partnership. Council voted to approve the second phase of the campaign at a cost of $72,256. Miller said the school district is covering the marketing portion of the campaign while the city is covering its production costs. “Goose Creek will be matching the production cost with their marketing efforts,” Miller added. Goose Creek CISD Superintendent Randal O’Brien was on hand to thank the city for their involvement in the campaign. O’Brien said the first phase of the campaign was successful. “It highlighted some successful alumni and the second phase will talk more about the process, programs and fertilizers and watering of students prior to becoming alumni,” O’Brien said. Matt Bollinger, former Baytown Junior School principal, talked about how they plan to put the campaign out where it can be seen. Bollinger said starting in August, a six-month marketing plan would be implemented, from the beginning of the school year through January. Bollinger said the campaign also entails using print advertising. “We can provide promotional brochures, pamphlets, and use tangibles,” he said. “For the new developments going up in the city, we can leave pamphlets in those offices. And the city will own a deliverable. If you want to, you can feature the commercial or photographs or other tangibles we are receiving through social media platforms. And during the campaign, we will collect data, monitor the progress, so if we need to make changes in the six-month campaign, we can do that.